Editor’s Note: The following story, while not the typical article we publish to Labs, is one to motivate and inspire us all around the holidays and as we head into 2018. We encourage each of you to share your own inspiring story of grit and triumph with our community in the comments below. 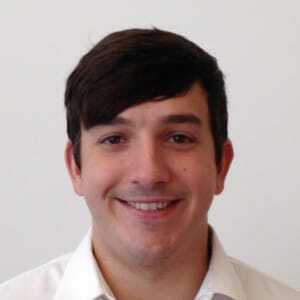 In April 2014, Nathan Sexton became the very first hire at Bellhops. Founded in 2012 by a trio of college friends, the Chattanooga-based startup had just sourced angel investment funding from a local venture capital firm, Lamp Post Group. The goal of the company was to launch ‘Uber for Moving’. With an added twist – the movers were full-time college students. There’s no smoke and mirrors to this story. I watched the whole thing from the Ambition office – 30 feet down the hall from the original Bellhops Headquarters on 800 Market Street here in Chattanooga. You see, one month after Bellhops hired Nathan, Ambition hired me. Our companies were the same size. We shared the same origins with the Lamp Post Group. And to top it off, Nathan and I were old friends. Fraternity brothers who had known each other since our first week at The University of Tennessee. I had no idea how he was doing it, even as I watched it happen. Nathan had zero prior startup leadership. Zero prior experience operating in a leadership role in business, period. No MBA. No tutelage from the Silicon Valley elite. No seasoned founders at the helm. And to boot, he was also a brand-new father to a young son. And yet, here he was. Accomplishing the types of achievements every startup aspires to – but maybe 0.0001% ever reach. 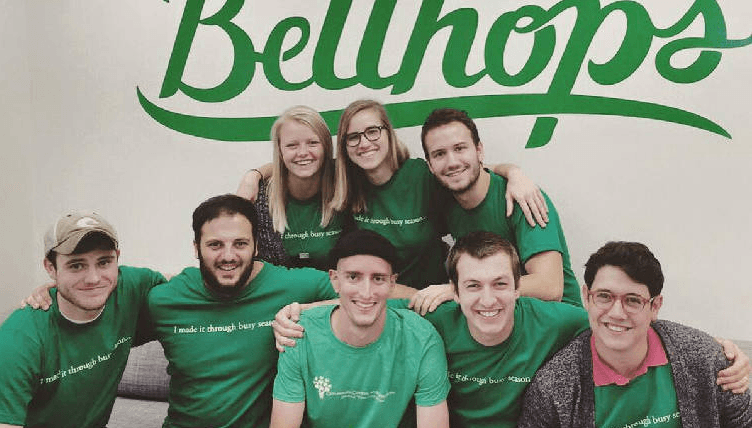 In June 2015, on the day Bellhops moved into its brand-new headquarters on Warehouse Row in Chattanooga, Nathan stood up and prepared to take his team out to lunch. Out of nowhere, he began to seize uncontrollably – the first of 3 seizures he would suffer on his way to the hospital. The timing was cruel. But the prognosis was even harder to stomach. Doctors discovered a softball-sized tumor in his brain. Soon thereafter, came the verdict. Stage 4 Glioblastoma. Life expectancy: less than 2 years. Fast forward to today, December 11, 2017. Nathan and I enjoyed a cup of coffee this morning. I took him into Ambition’s new office. We laughed about old acquaintances. And we discussed the most amazing parts of Nathan’s story. 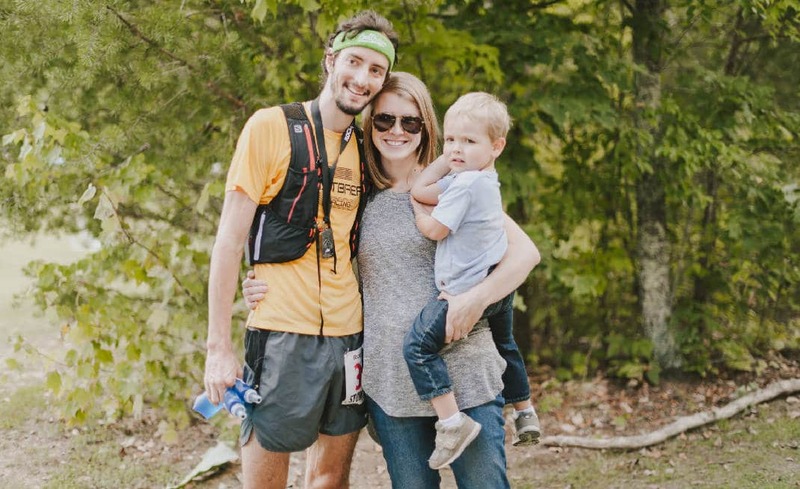 Like that, in April 2017, Nathan fought through five seizures to complete the Boston Marathon. Became a published author – writing a book of life lessons for his son, Jack. Earned feature articles in Forbes and Runner’s World. Expertise and experience are great. But you can’t fake the raw desperation to build. Nathan spent 5 years in the safe confines of corporate America. The superhuman pace at which he operated upon getting his shot with Bellhops was borne out of a deep, burning passion for his opportunity with the company – and shared beliefs as to company mission. Using his internal drive plus emotional intelligence (the number one quality Gary Vaynerchuk looks for by the way), Nathan built a team and culture around him that hardwired into Bellhops’s DNA. Nathan’s biggest regret from his time with Bellhops? The missed opportunities to spend more time with his wife and young son. Importantly, Nathan still made conscientious efforts to balance the demands of his job and the need to spend time with his family. One example – he would wait until Elizabeth and Jack went to bed around 10 PM then spend 3 to 4 hours teaching himself how to code before calling it a night and starting all over again the next morning. The grueling hours, daunting success rates, and ever-evolving list of challenges will take their toll on you. Stay hungry, humble, and mission-focused. Those who have worked alongside you, who recall the moments you were there for them, and witnessed firsthand the benevolent spirit behind your actions will come to your aid in your time of need and sometimes in the most unique ways possible. Director Greg Corradino, spent over a year following Nathan, interviewing his closest family members, friends, and Bellhops colleagues, and packaging the footage into the most honest, inspiring, and thought-provoking documentary I’ve ever seen on navigating work-life balance, building a startup company from scratch, and finding passion, meaning and purpose in your life – by any means necessary. This holiday season, I implore you to watch Nathan’s documentary. Remember why you followed your passion. Chose the hard route. Followed your desire to build and help others. Maybe you saw an opportunity to use your greatest skills or see through the tangible impacts of your efforts. Perhaps it was to be part of a close-knit, scrappy, unified team. Or maybe you saw the opportunity to have the greatest possible impact on the world around you. Shiny accolades are great – but they can never match the lasting impacts borne out of selfless love and labor for your family, friends, and peers. Watch the documentary here. And keep fighting in 2018. Nathan sure will be.